30″x40″ Mixed media. 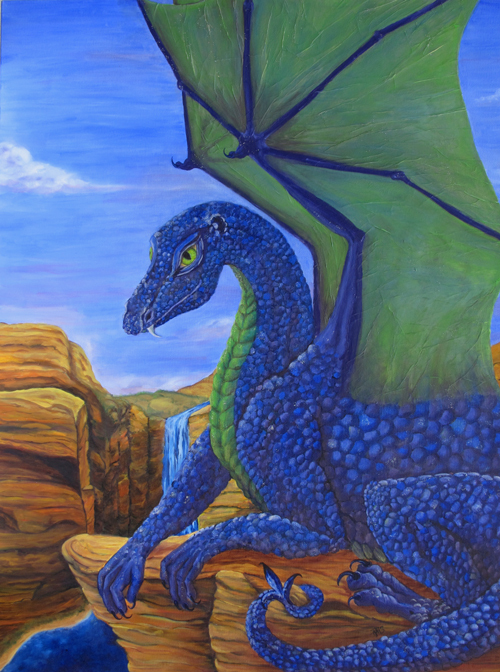 (Oil on canvas with Tissue) I have always been fond of dragons hope to have one as a companion one day. She is fierce, intelligent, and vain. Drying her wings in the sun, after a dip in the cool waters of the canyon. I also love dragons and am trying to collect a few pictures that I find on the net, I just keep them on my tablet for the grandkids to look at. Thanks for your painting of Lucindra.